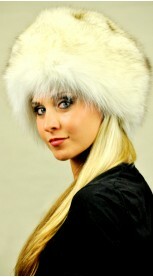 Authentic and elegant, Arctic Platinum fox fur scarf. This scarf fits women wishing to be trendy even in cold winter. This fox fur scarf is very warm and high quality. Its absolutely natural color has white to silver shades. Inner polyester lining. Each of our fur accessories is made in Italy. We ensure best quality materials. The color visible in the picture might differ from the real product at the sun light, as they are natural products. Length 145/150 cm.